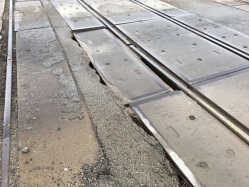 Blytheville assistant police chief Ricky Jefferson is advising motorists to use caution when crossing the railroad tracks on Moultrie Street. 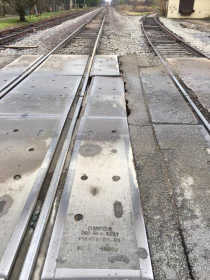 "BNSF has been contacted but could not give a date for repairs," Jefferson said Friday morning. "If it gets worse, we may have to close the street until repairs are complete."